Ctra. 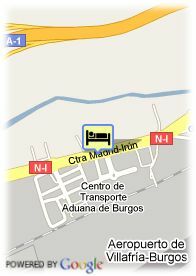 Madrid-Irun km. 245 , 9007 Burgos-Rubena, Spanje. 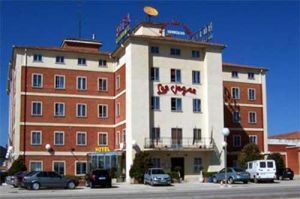 Las Vegas Hotel is a friendly establishment located at just ten minutes from Burgos historical centre, fully on the Way of St. James and next to Atapuerca´s sites. It offers 75 comfortable rooms, all outdoors and equipped with complete Bathroom, telephone, satellite dish TV, among many others. In its 'Los Arcos' restaurant you can enjoy the best typical dishes from the local gastronomy. Las Vegas Hotel offers three large meeting rooms where you can surely celebrate any kinds of social or professional events. With very functional, actual and comfortable facilities, this hotel releases a familiar and kind treatment which will make you feel at home.